Cairncrest Farm in West Winfield, New York is experimenting with Bamboo as a forage to extend their grazing season. Here’s the ins and outs of their field trial along with some video of cows grazing bamboo in a snowy pasture. “There is no one I’d rather farm with.” brothers Edmund and Garth said of each other. Our two families founded Cairncrest Farm in 2010 with the vision on building a vibrant, local food system. We are committed to ethical farming practices, land stewardship, our creative pursuits and producing exceptional meat. Shown here, Edmund, Normandy, Alanna and Garth and their kids. Click to visit their website. In the interest of extending our grazing season we’re conducting a small planting trial on our farm in central New York. The climate conditions on our farm make it very difficult to consistently graze for more than 8 months out of any given year. Pastures composed of orchard grass, clovers, brome, fescue, and timothy usually aren’t ready for livestock until early May. On the other end of the grazing year snow, ice, and freeze-thaw cycles typically force hay feeding by sometime in December. With an average snowfall of 100” and a reasonable likelihood that snow will fall, partially thaw, and then refreeze it is imprudent to plan on getting into January on stockpiled pasture. Even a thick sward of tall fescue and clover with good relative feed value (RFV)doesn’t have any value if the cows can’t get to it. Five years ago while brainstorming about grazing we thought of bamboo as a possible winter stockpile forage. Our thinking went like this – woody stems to hold the leaves aloft would keep most of the potential feed available even in very deep or crusted snow. Some types of bamboo are evergreen even down to temperatures below 0 degrees Fahrenheit. Bamboo is widely used as a feed in other parts of the world and early settlers in North America eradicated large groves of the native “river cane” with their cattle and hogs, claiming it was a feed par excellence. Panda bears subsist mostly on bamboo leaves and apparently they’re not very capable of digesting roughage. Ruminants ought to be able to get much more value out of bamboo leaves than a hindgut powered bear. Of course we had a laundry list of questions and concerns about the feasibility of feeding bamboo. If it is a good idea why hasn’t anyone else already done it? Just how good will the leaves be and will the quality hold late enough into winter? Yield? Palatability? Plus a number of management questions having to do with timing of grazing. We did some digging in the library and on the internet and found we’re not the first to have the idea. We couldn’t find anybody running at farm or ranch level production currently using bamboo in their rotation, but there are a few tantalizing anecdotes of homesteaders feeding it to their livestock, and there are some academic papers on the topic. One of the older papers was from a study done in North Carolina on native cane. 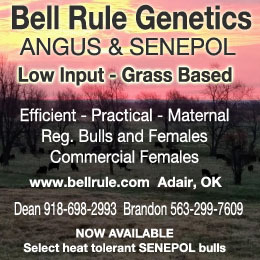 Beef cattle were set stocked on stands of it and performed equally well compared to ‘regular’ grasses. The timing, management strategy, and climate all differed from our prospective use of bamboo, but one encouraging take home from reading that paper was that cattle will quickly learn to “ride down” the canes with their bodies in order to reach the leaves. Only one of the papers we dug up was reasonably contemporary. It showed good protein levels and moderate digestibility of several species of bamboo leaves all the way through a zone 5 West Virginia winter. That finding was enough for us to order a few starts from nurseries where we asked for “the most cold hardy type available”. Our farm is solidly zone 4, which is at the outer limit for even the most hardy bamboos. We’ve tested four different identified varieties, one of which managed to gradually take over the piece of ground where we put it. The others either outright died or have barely expanded in the four years since planting. On our farm even this most cold hardy bamboo behaves like an herbaceous perennial more than a woody evergreen the way it would in a slightly warmer climate. On really cold nights the leaves and stems winterkill. In a zone 5 winter many (most?) years the bamboo would come through with canes still alive and they’d push fresh leaves in the spring. We almost always have nights below -10 farenheit during the winter, and that seems to be about the cut-off point for freeze damage to Phyllostachus bissettii (the best variety tested so far). If wind piles on, the damage point is somewhere between 0 and -10. What you’re looking at here is a small stand of bamboo bent down with snow. I snapped this photo back in late November when we got about a foot of just-the-right-weight snow to lodge the canes. The mound is between 2 and 3 feet deep in the middle. With winter kill (or complete defoliation by livestock) every year we’re not sure how thick the stand will manage to get. Our little test grove has not yet created a monoculture over most of its footprint, but it has expanded in total area and thickened slightly each calendar year. In this video some of the stems in the patch are bent over and buried in the snow, so it looks even thinner than it actually is. It’s still unclear to us whether it ever will come close to total dominance. Under warmer conditions most bamboo groves we’ve walked through either form monocultures or grow under even taller trees. But those groves all allowed for several years worth of canes to accumulate and create a dense, dark canopy. Leaf Area Index (LAI) in bamboo groves can surpass 12 given the right variety and enough time. In our situation with the stems dying back to ground level every winter we’re not sure whether (or how) to encourage a thicker array of canes. Cool season grasses present possible competition because they start growing so much earlier in the spring than the new bamboo shoots which emerge in late May and June. We don’t yet have experience managing livestock to maximize bamboo vigor, but we suspect there will be a spring grazing opportunity where we intentionally stunt the cool season grasses growing below the bamboo. It might be nice to have a piece of pasture where we want to put the stock a little bit “too early” each spring since everyone (bovines and humans alike) is so desperate to get on fresh feeds that time of year. Here is the nutrition analysis done by Dairy One on a sample taken December 29, 2016. Click to download it. Out of the initial list of several questions – any one of which could derail the experiment – the most significant possible stumbling block we have yet to quantify is whether bamboo can yield enough tons of forage per acre per year to be worth growing instead of other grasses. We have a lot of steep land that is not amenable to haying, so that slightly tilts the balance in bamboo’s favor. 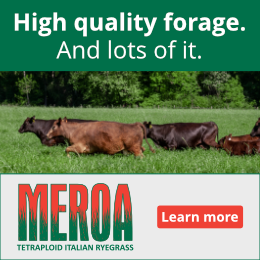 But the more salient economic point to make is that every pound of pasture available to the cows in December, January, or February is much more valuable than a pound available for animal powered harvest in June. Taking this into account, an economically viable volume of bamboo could possibly occur at lower gross yield than a comparable MiG pasture of similar fertility. Touching on the topic of what else we might grow instead of bamboo, many people we’ve shared the idea with express concern about how “invasive” bamboos are. This is not a concern for us because unlike all the other eurasian pasture plants we encourage in our pastures (clovers, orchard grass, etc), bamboo does not spread by seed. To eliminate a clump all it would take is intentional overgrazing. Put livestock on during the shooting season and bamboo will run out of gas pretty quickly. Without a good long rest period (months or more) the stand will not persist under grazing/browsing pressure. In fact, this is a point the authors of the North Carolina study noted. During the course of their observations the grove vigor declined and the cattle ate virtually all of the tender new shoots. The study ended before the grove died completely, but it was apparent to us that eradication of the bamboo was going to occur if cattle continued to be set-stocked on it at the rate they used. With the number of qualifiers used to describe this experiment, could, might, possible… we hope it is clear that we have not yet used bamboo as a winter stockpile. Even if our dreams are fulfilled, there will still be lots of room for experimentation. We have only tried a few bamboo species out of the many of types that might work. We still don’t know how/when to fertilize for optimum yield and quality or whether fertilizing will push the bamboos to put on more leaves relative to stem material or vice versa. We have hardly scratched the surface of possible species and varieties to trial. And even if the concept doesn’t end up working for us, there is strong possibility that incorporating bamboos into the grazing rotation could be beneficial on farms in other climates. Think drought reserve in the south or windbreak in the more humid parts of the midwest, or riparian buffer that has better feed value than Japanese knotweed. We’d love for other people to run some trials and share their experiences growing bamboo as forage, and if you know anybody running research on grazing season extension who might want to collaborate on a bamboo study we’d love to be put in touch with them! 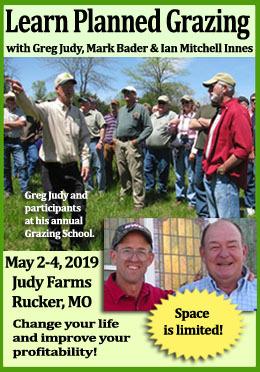 If you want to read even more about our trial you can check out our farm blog HERE and HERE, most of the information is the same as presented in this article, but there are a few other tidbits to be found there. Edmund Brown and his family live in upstate New York where they raise beef cattle, pastured pigs, and a few sheep. He enjoys learning about techniques to improve his grazing management skills. Both links to the blog get page not found errors. Could you update with corrected links please? I double checked them and they worked for me. But just to be on the safe side I copied and pasted them again. Let me know if it still doesn’t work for you. And thanks for letting me know! Bamboo is highly invasive so if using it as a pasture forage keep it away from property lines as your neighbor will be mighty upset someday once it gets a toehold on their property. Bamboo rhizomes are not easily stopped by the typical border barriers. They can penetrate most barriers easily. The quackgrass of trees. Quackgrass rhizomes will go right through a potato tuber as straight as an arrow, because it is arrow-like.